Here at ExpressTruckTax, we are all about accountants. That’s why we have a new e-sign feature available for Form 8453-EX. And that’s just one of the perks accountants get from ExpressTruckTax! There are so many perks for CPA’s when they use ExpressTruckTax. The product alone is easy-to-use, but we go beyond that. Payment options, payment perks, and even more! Now we’re taking it a step farther with a new feature to save time and all the headaches that come with the HVUT tax season. This feature will benefit both truckers and accountants alike. Because with e-signing available for Form 8453-EX, CPA’s can get permission to e-file for their client as a third party instantly! Whenever you are e-filing for a client and you encounter the Form 8453-EX all you have to do is send a link from your personal email account. 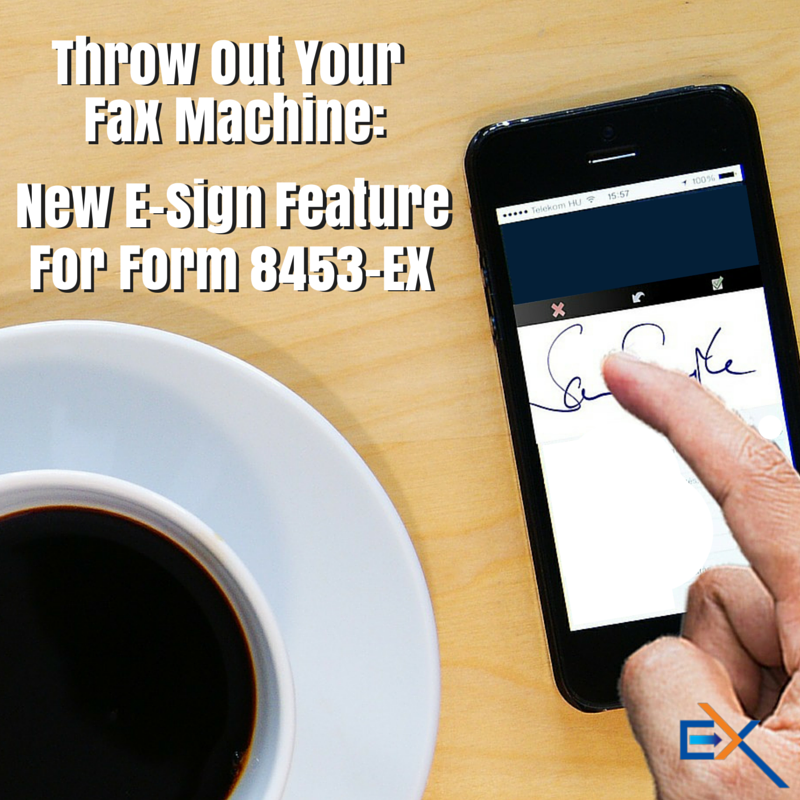 This link directs your client to our e-sign site and allows them to sign the 8453-EX on any device. They can even e-sign it with their fingertip if they are using a tablet or a mobile device with a touchscreen. We’ve gone over what the new e-sign feature for the 8453-EX can do for you, but how do you do it? If this is your first time signing into ExpressTruckTax as a CPA, then we’ve got you covered! Here’s a quick how-to on utilizing our system to help yourself and your client. Once you’ve completed the e-filing process for your client, our system will prompt you to follow a three step process in order to ensure that you and your client have both signed Form 8453-EX. Click the blue button to download the completed Form 8453-EX. We auto-fill the form for you to save you time! Review yours and your client’s information and make sure it is correct. Send form as an email from your personal email or business email for your client to sign. Fax the form to your client for them to sign. If you’ve used the e-sign feature, instead of having to upload the file, you will receive it back in your e-sign portal in real time. If the client declines to sign for any reason, you will receive an email notification stating the reason for the rejection. You can edit and resend the form with just a few clicks! And that’s all there is to it. This new feature will not only save you time, it could also help you recruit more clients. Not to mention you don’t have to wait on snail mail or fax machines. You can get it all done fast through ExpressTruckTax! And if you have any questions, we’ve got some dedicated support legends just for you! Give them a call at 704.234.6005 during our new extended business hours from 8AM-8PM EST or shoot them an email at support@expresstrucktax.com for 24/hour support in English and Spanish.